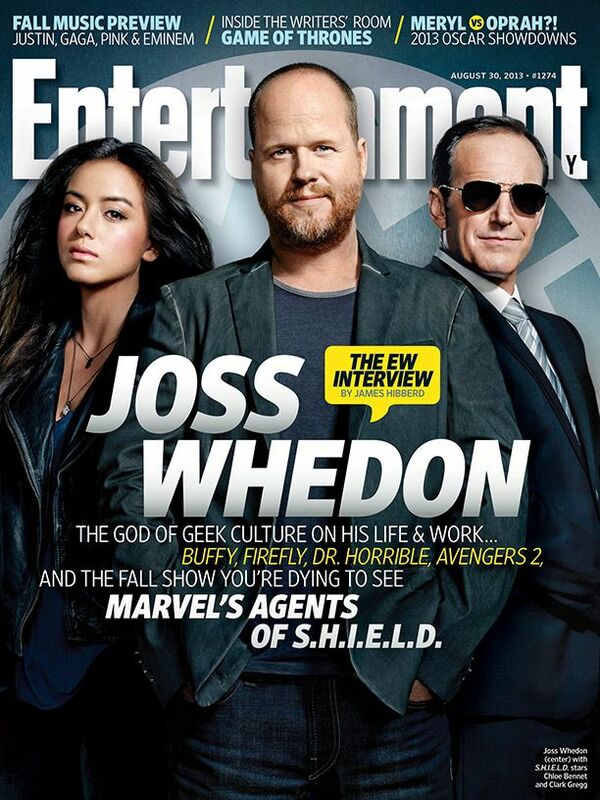 Entertainment Weekly has just debuted the cover to their next issue and it features Joss Whedon and “Marvel’s Agents of S.H.I.E.L.D.” stars Chloe Bennet and Clark Gregg. In the issue, EW says Whedon talks about all things “Buffy,” “Firefly,” and The Avengers, but he made time to drop an interesting quote about the upcoming TV series too. “Marvel’s Agents of S.H.I.E.L.D.” will premiere on ABC on Tuesday, September 24 at 8 p.m.
For more with Whedon — including his love-hate relationship with Twitter and why he’s worried about our sequel culture — pick up the new issue of Entertainment Weekly, on stands Friday, August 23.